The Tale of Genji, Dream of the Red Chamber, The Tales of Ise, The Three Kingdoms–these and other masterworks are required reading for students of Japanese and Chinese literature. But how did these works come to be regarded as “classics”? What makes them significant works of literature? And how can an instructor best convey their artistry–especially in translation? 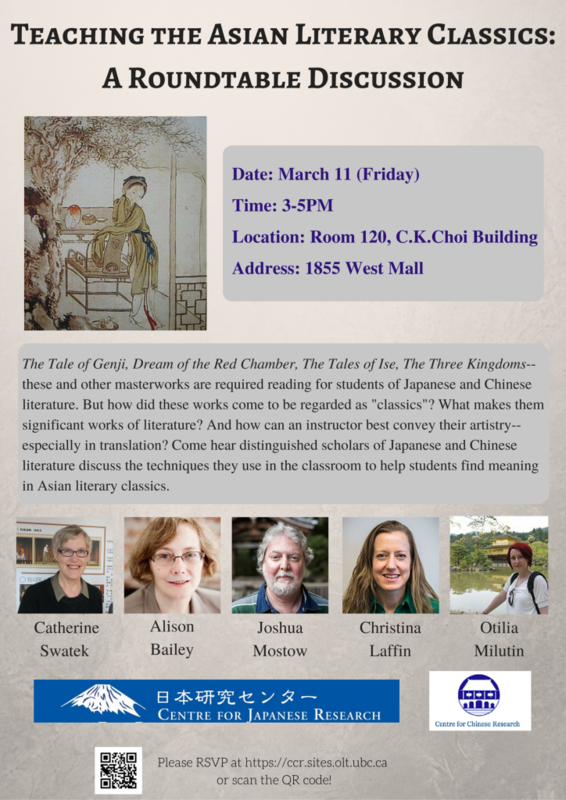 Come hear distinguished scholars of Japanese and Chinese literature discuss the techniques they use in the classroom to help students find meaning in Asian literary classics.